EnviroGuard offers precision fabrication services. 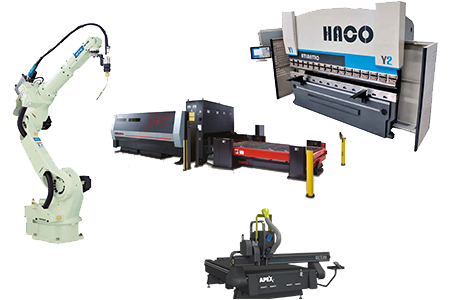 Metal Cutting thickness' of up to 1"
Our state of the art equipment ensures the highest level of quality control while providing speed and accuracy. This, combined with East and West Coast Warehousing and Distribution brings you the EnviroGuard Aptus difference. Allstate, Apple, Bank of America, BMW, Boeing Company, CISCO, Disney Worldwide, eBay, Fed Ex, Ford, Fox Network Center, Goldman Sachs, HASBRO, Hewlett Packard, Home Depot, IBM Corp, Marriott, MasterCard, Microsoft, Morgan Stanley, Motorola, Inc., NBC, PFIZER Inc., Qualcomm, Raytheon Company, Toyota, UPS, US Bank, Viacom, Walmart.com, Washington Mutual and Wells Fargo Bank.